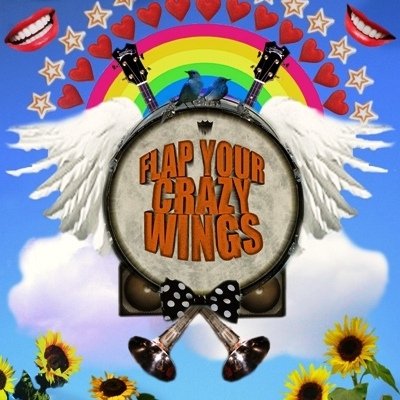 London music collective The Heart Strings recently released their sophomore album 'Flap Your Crazy Wings' which they are selling at a 'name your own price' option on their bandcamp which includes $0. Loving the record! Great classic sounding indie pop album. Just give it a listen and I'm sure you will be hooked. It has this classic feel to it that makes it feel like it's been with us all these years even though it was just released. That's usually a good sign that it will stand the test of time. Here's a couple of my favorite tracks "Good Time Are Coming For To Get You" and "Cartoon Hearts", but really there's not a weak track in the bunch. I'd pick this up asap, won't cost you a thing and it'll bring many hours of joy to your ears.